Metaone are a leading provider of world class document and presentation templates. 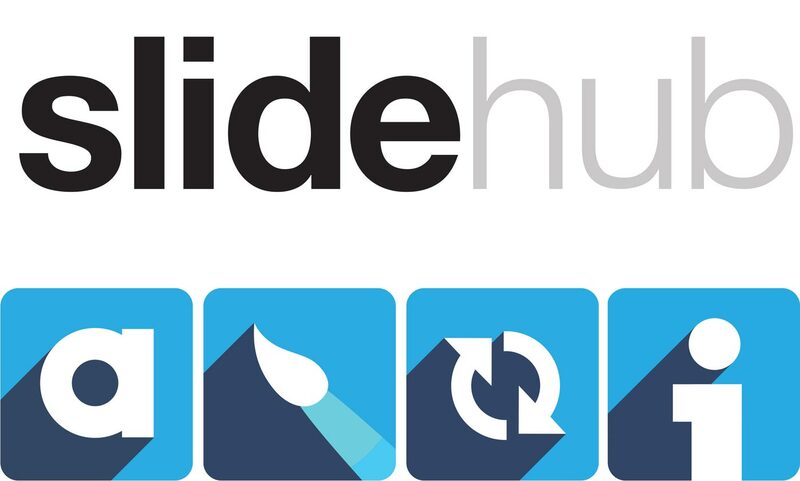 When the company announced the launch of SlideHub, a new presentation tool that transform the way that businesses create and manage their PowerPoint™ presentations they asked Designcrew to design and produce a pop up exhibition and literature, which was launched at the CrossMedia Show at the Business design Centre, London. 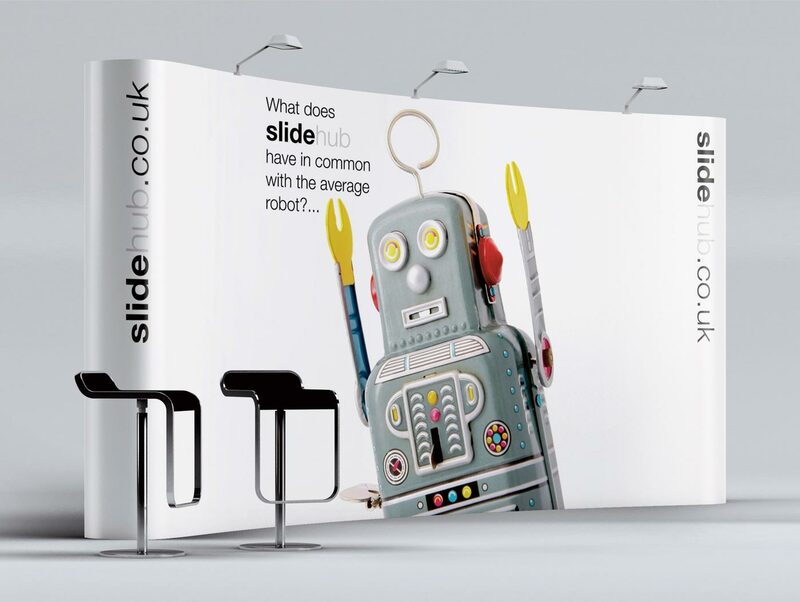 We wanted a design concept that would stand out from the norm at this type of media show. 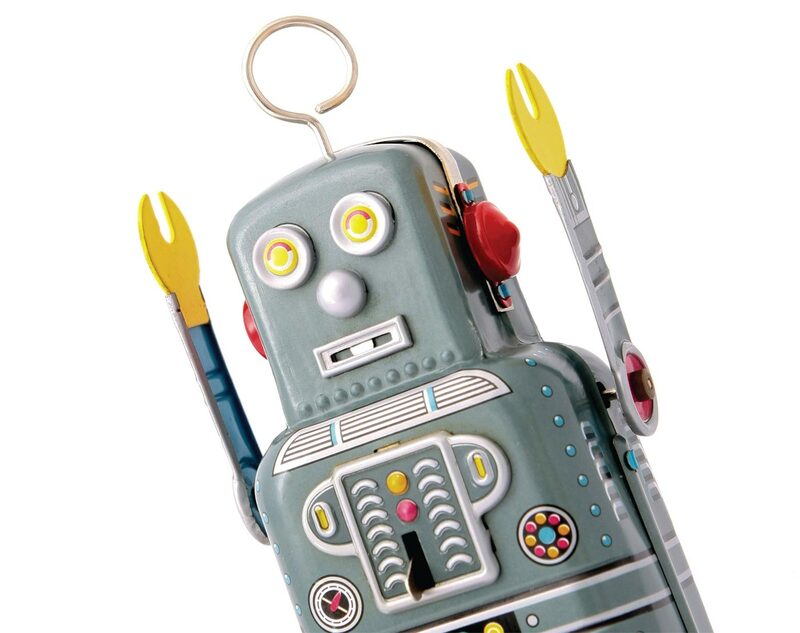 With this in mind we proposed a robot, yes a robot! 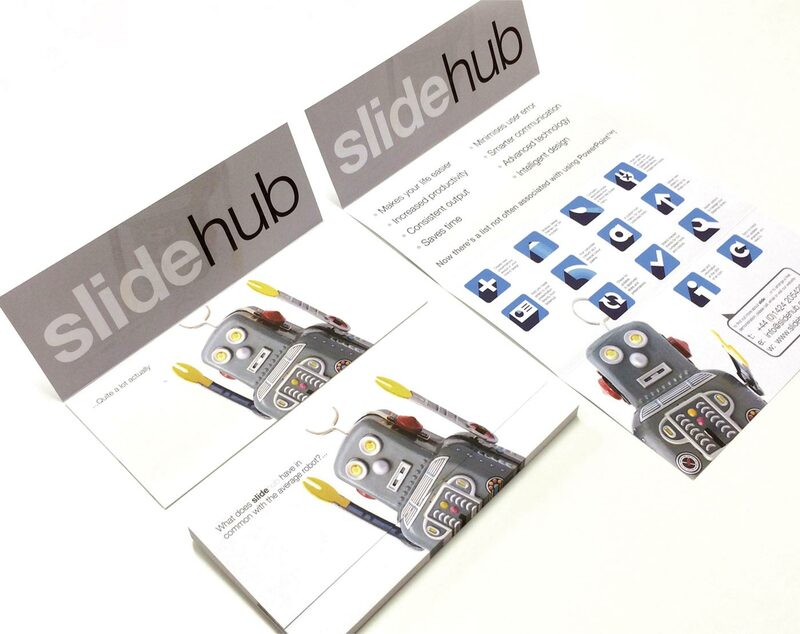 The tagline being ‘What does slidehub have in common with the average robot?…’ other supporting items were miniature give-away robots.